For Developer Edition, give password+security token as password. Username is as usual username. 1. Go to Setup --> Administration Setup --> Data Management --> Data Loader. 2. 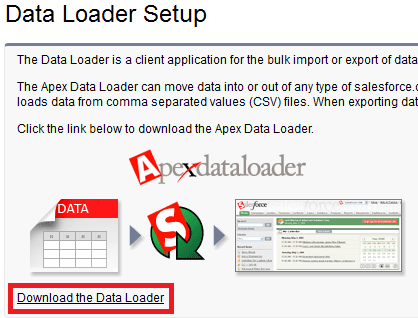 Click "Download the Data Loader" link to download the data loader. 6. Check the checkbox near Force.Com IDE. 7. Click Next and complete the setup. We cannot move data from Sandbox to Production. We can move data from Production to Sandbox alone. In order to move data from Sandbox to Production, use Export and Import feature. A full copy sandbox is a duplicate of your entire production organization. A developer sandbox is limited to a total of 10 MB while a configuration only sandbox is limited to 500 MB of data. Developer sandboxes are special configuration-only sandboxes intended for coding and testing by a single developer. Enterprise Edition comes with one developer sandbox and the Unlimited Edition comes with 15 developer sandboxes, 5 configuration-only sandboxes and 1 full copy sandbox. Configuration-only sandboxes copy all your production organization’s reports, dashboards, price books, products, apps, and customizations, but exclude all your organization’s standard and custom object records, documents, and attachments. A 500 MB bandwidth and 10 minute service request time limits (per rolling 24 hours) for Force.com Sites applications. The below code is used to open new page 'AddAllBlog' from current page. If you give URL as 'http://google.com' instead of '/apex/AddAllBlog', it will open google website. The below code is used to show Save button and the fields to be filled. Its a simple example for page editor. The <apex:inputField> corresponds to a field on a Salesforce object. With Spring ‘12, you can filter on date, date/time, and currency fields in addition to picklist, lookup, and text fields. With the additional operators, dashboard filters now support the same set of operators as report filters. Salesforce have also introduced a new filter: “between.” Use the between operator to get results that are greater than or equal to aminimum value and less than a maximum value. Analytics Edition is available with the Professional, Enterprise, and Unlimited Editions of Salesforce. For more information on Analytics Edition, including how to purchase it for your organization, see www.salesforce.com/analytics or contact salesforce.com. Salesforce Analytics Edition is a powerful new addition to Salesforce reporting. Analytics Edition gives your organization sophisticated tools for building flexible, powerful reports. You no longer need to spend hours in Excel or third-party business intelligence apps to gain business insight: Analytics Edition lets business users create the reports they need to gain decision-making insights against a deep and rich set of business data. For clearing DEV 401 exam, there is no proper study material. Visit http://certification.salesforce.com/Home for more information. There will be less number of direct questions. Mostly questions were easy to answer, if we have good practical knowledge. So visit http://www.salesforce.com/services-training/training_certification/ for practical knowledge. Clearing DEV 401 is not an easy joke. Work hard before you apply for the exam. 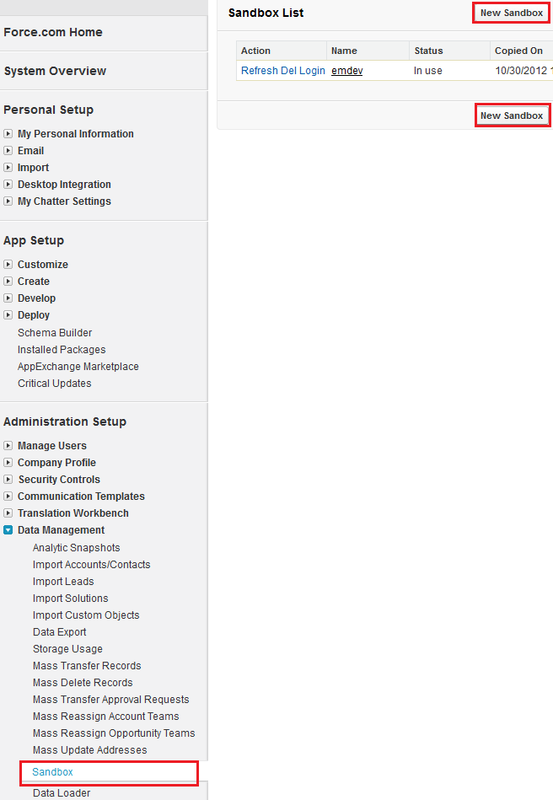 Create an account in http://developer.force.com/ and experience all the features in SFDC. Explore all the features available. Practical knowledge plays a vital role in clearing the exam. All the very best for all!!! Just Rock!!! - How are objects related to reports? - What can be done with custom report types? Live Agent lets you add real-time Web chat to your existing customer service channels. Place chat buttons on your website, public knowledge base, or Customer Portal and allow your customers to contact your support agents instantly. • A dedicated console that lets agents easily manage chat sessions, view incoming chat requests, and transfer chats to other agents. • Quick Text, which allows agents to create standard chat messages, such as greetings and reusable troubleshooting steps. • Seamless integration with Salesforce records and Salesforce Knowledge articles in the chat console, giving agents easy access to customer information and knowledge articles. • Visitor and chat transcript records, which let agents and supervisors view and monitor information about customers and their issues. • The ability to customize your chat buttons and windows to include your company’s logo, specify the language users see, control how chats are distributed to agents, and associate each button with a specific agent skill set. • Customizable agent configurations that let you create different chat experiences for agents and customers.